21/04/2019 1771 items in database. LOGIN greatly enhances the functionality of our web site. Find out about the benefits of having an Account. Registered users can go to login page. Welcome to Mandeno Electronics (2015) Ltd.
Grayhill Gen-2 Touch Screen, CanBus Joy stick and Touch Encoder are our latest new Grayhill products. Please call to discuss development kits and product options. Specialised peripherals for Councils, Engineers and Architects, Quantity surveyors, Copy shops, Signwriters etc. Our range includes wide format document scanners, digitisers, portable quantity survey costing systems, long life SIGN SHOP equipment. Machine safety systems for upgrading plant and for OEM machinery makers. Vehicle Management Sytems including CANBus sensors, keypads and display screens for off road vehicles and marine vessels. Our services in custom KeyPAD engraving. VGA display drivers for large screen industrial and consumer applications. A catalogue of items designed for MEDICAL Electronics. For factories, researchers and field engineers we carry a wide range of ready to use measuring sensors, transducers and associated instrumentation. If you want to make a measurement there is a good chance we have already made it for another customer and if not, we will search for a solution that suits you. For manufacturers we offer a forever expanding range of essential production items including OEM sensors, switches, knobs, DC solenoids, reed switches. Many items are stocked and available for scheduled deliveries. OEM Sensors generally require a housing and application specific electronic circuitry. 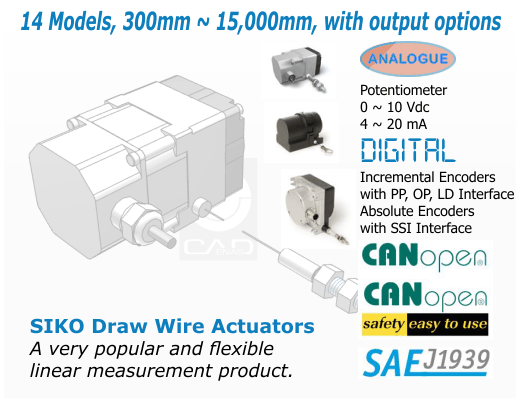 Sensors listed under "Sensors and Instrumentation" are packaged and ready to use with industry standardised outputs or user programmable outputs. XYZ in one powerful package. The Genius in laser sensing and instrumentation. Click the advert to transfer to Sensor Instruments. There is much to read and study! Australian made Electrical Cables comply with NZ & Australian standards. PC Upgrade advice for COLORTRAC users. Quality demonstrations are one of our strengths. Do you need a solution? CRUZ high speed documents scanners. Sensor Instruments beautiful colour measurement solutions. Listening to your dam, your foundations, your bridge? Why not listen in silence? Property Hunter operates World Wide, 24hrs a day, advertising properties for sale. At Property Hunter, Private Sales and Agents are welcome. You can advertise a property for FREE or pay a modest fee for a comprehensive listing.